Sign-up now for the Boys' Summer Camp. 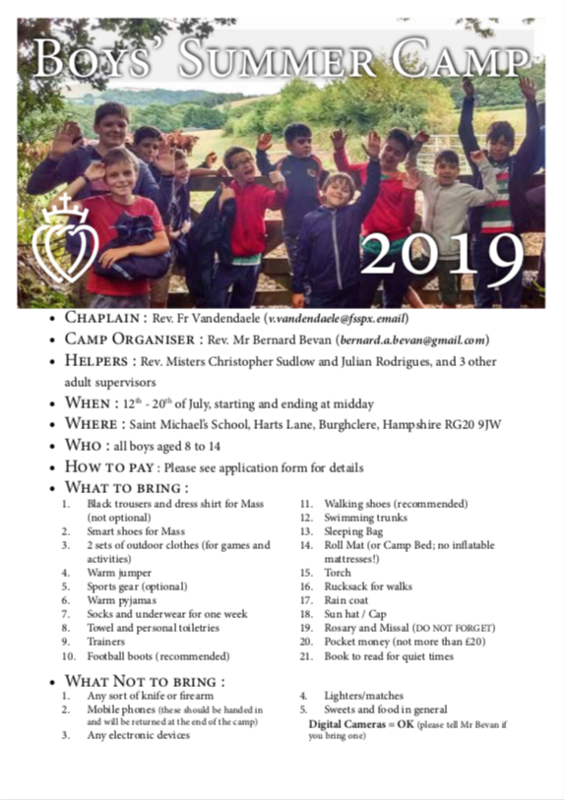 Full details are available on Poster 1 (which carries an overview), and Poster 2 (which carries details of the organisers and an email address for Fr. Vandendaele from whom application forms can be obtained). 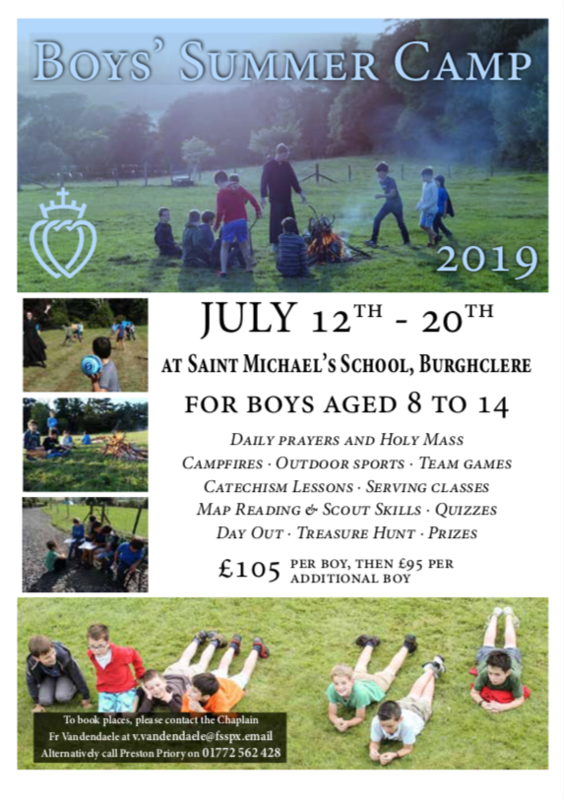 Note that this year the Summer Camp is being held at St. Michael's School at Burghclere.